Mayflower Casino is an online gaming site which is known for its American-themed interface which features the history of the Mayflower. The site also highlights the preview options to its games wherein players have the chance to view demos on how to play the site's different games. These unique features have continuously attracted more players worldwide, specifically US players. The site is owned and established by the Regalbar Ltd. Casinos in 2009. It has also acquired its license and jurisdiction from the government of Costa Rica. This jurisdiction covers the site's availability to its US players and other interested players worldwide. The site is also supported by the English language for wide audience coverage. It is only available for window gameplay and its games require download before players can play through it. Mayflower's games are currently developed and managed by Top Game software. Just like the gaming site, Top Game is also a newcomer in the gaming industry. This software developer was just recently launched last 2008 and since then supplies gaming sites with chosen game titles. Although it supplies its clients with a limited number of games, Top Game has been adopted by many gaming sites. It has proven its reliability, full service, and worth as software developer. 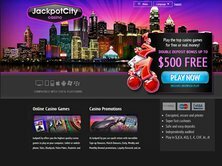 The site's games include various selections of table and card games, classic and virtual video machines, video poker games, specialty games, arcade games, and many more. Some of these table and card games include different variants of blackjack games, baccarat games, roulettes, and other table games. The site also offers several slot machine games ranging from classic games which feature over 20 variants of three reels and different paylines of 1, 3, and 5; to interactive video slots which have more than 16 game variants with five reels and have paylines from 9 to 25. These games usually have bonuses and free spins offered to its players. 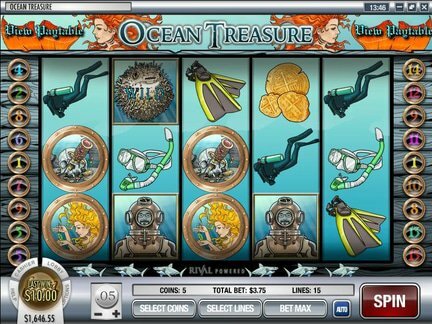 This selection of slot games include famous game titles such as Treasure of Pharaoh, Fruit Slots, Wild 7s, Black Diamond, Fantasy Nuts, Ocean Fantasy, Reel Gangsters, Lucky Number, and many more. Another distinguishing feature brought by Top Game to this site is its special gaming feature which involves the ability of a player to participate in five different games at the same time. This feature allows a player to have at most five tabs of featured games in the site open at the same time. This special gaming feature provides players numerous options on which games they prefer or not. In terms of the site's offered bonuses and promotions, the site provides its players a set of different deposit bonuses upon their initial deposit. These deposit bonuses are exclusive for its new players and primarily for slot game credits only. The first deposit bonus grants new players a 400% incentive upon their initial deposit. Cash bonus of certain amount is also given together with this deposit incentive. On the second deposit transaction made, newcomers get a 100% deposit bonus from the site, plus a second cash or credit and cash on top of these incentives. The third and fourth site deposits made are granted with both 100% deposit bonuses, and even larger cash bonuses with cash incentives on top of these offers. The larger the deposits made by new players, the higher the amounts of cash bonuses and incentives they'll receive from the site. As for the site's regular players, the site offers up to 350% worth of weekly bonuses and other exciting rewards which are usually given every week. Mayflower also has an exclusive VIP Club which only acquires members through invitations. Regular customers who are usual players and those who deposit high wagers have the chance to be invited to be part of this VIP club. This VIP club has three club membership levels called the Captain's Lounge, Admiral's Club, and the Royal Suite. The Captain's Lounge welcomes players who purchased $1,000 of credits and have wagered at least $50,000 per month. Meanwhile, the Admiral's Club is for players who have purchased at least $10,000 and have wagered $500,000. Last but not the least is the Royal Suite which offers its players with the best privileges and bonuses. All these three VIP levels grant their members with exclusive privileges, rewards, and benefits from the gaming site. Despite all these positive features, impressive bonuses, and exceptional service, several review sites have reported that the site has been closed down and is no longer accessible to its players. Some issues were also raised by its players concerning the site's delayed deposit and payout transactions, as well as misleading wagering terms and requirements. These issues might have been the reasons why the site chose to close down despite its ongoing success. Nevertheless, Mayflower earns a fair 3 out of 5 rating for its efforts to sustain the gaming site, as well as to provide its players with exceptional gaming experience and impressive bonuses and incentives.